From Macon's War Work "August 1, 1918 — In the sector where German high explosive shells were falling thickest during the desperate defense of the German rear guard in their efforts to halt the rush of American and French divisions, thrown by General Foch into the Soissons-Rheims drive, Companies A ami B, of the 151st Machine Gun Battalion put up a wonderful fight where, according to General March, they were stationed in the foremost part of the wedge, judging from the casualties which continued to come in. 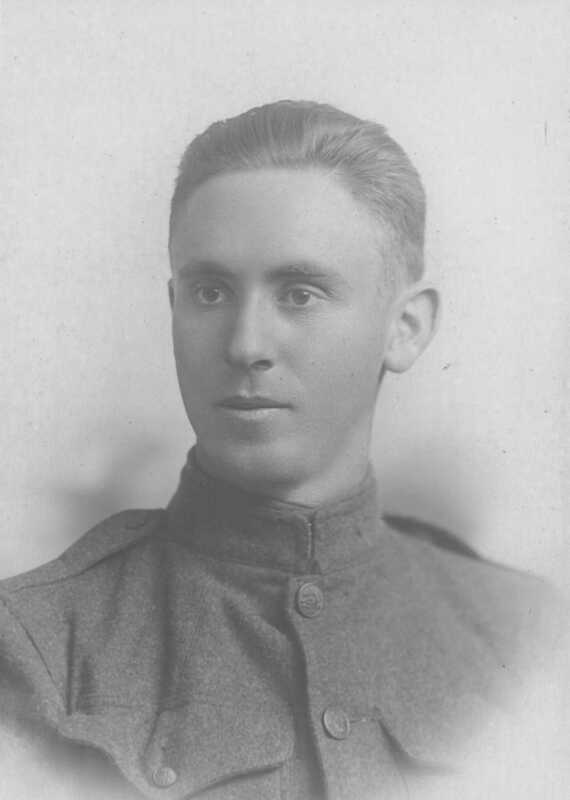 Among those reported killed : Private Ernest McWilliams, Sergt. Paul B. Minter. 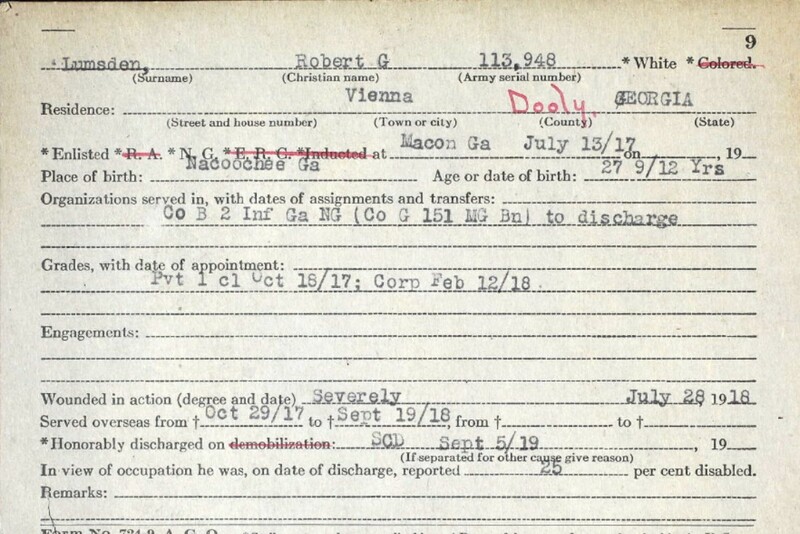 Reported wounded: Private Overton L. NowcII, Private George S. Gornto, Private Howell II. Jones, Private William O. Williams, Corp. Robert G. Lumsden, Private Fred Edwards, Private Peon O. Gunter, Private Robert P. Stallings." Major Cooper D. Winn Jr was named as commander of the 151st Machine Gun Battalion when it was organized on August 1917 in Macon. From the beginning it was formed to go to the composite division of the National Guard for service in Europe. Because of the composition of National Guard Soldiers stretching from all over the United States this division acquired the nick name "Rainbow Division". With it is numbers filled out by men of the Georgia National Guard, the 21 officers and 560 enlisted men of the 151st Machine Gun Battalion moved from Camp Harris located near Macon, Georgia to the Division's training area at Camp Albert L. Mills in Long Island, New York. The designations for the battalion's companies changed from B, C and F Companies to A, B, and C with F becoming A Company. At this camp, the battalion was introduced to new equipment and physical training. The 151st Machine Gun Battalion went through two months of training before embarking on the US Transport Agamemnon for deployment to France. The unit's personnel strength was 25 officers and 545 enlisted men. The additional three officers came from the Reserve Corps and another was a dental surgeon. The loss of fifteen enlisted men were due to health issues. 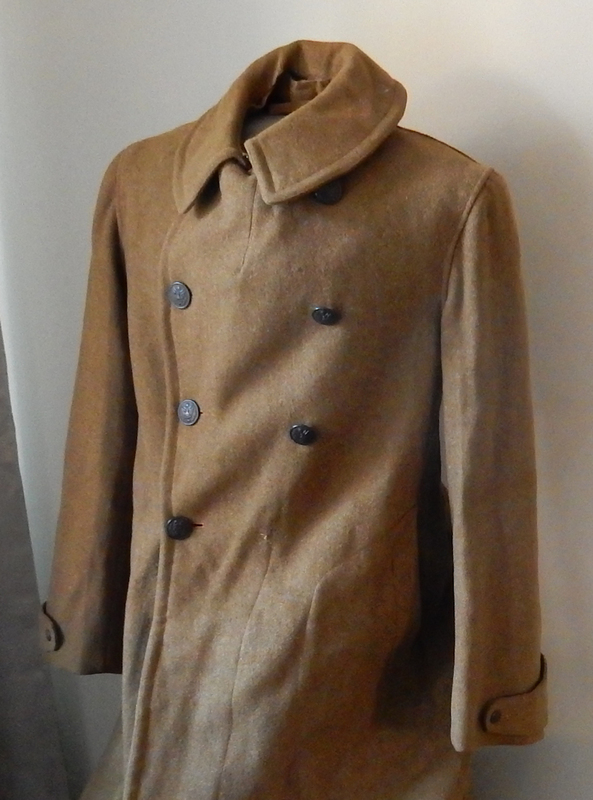 There was little excitement onboard the Agamemnon as the unit was transported to France. Only one episode stands out where the ship stuck the Von Stuben (one other US ship of her convoy) with only minor damage. The Agamemnon anchored in harbor November 12, 1917 at Brest France, which is one of the western most points in France. Due to lack of accommodations and transport issues the battalion was not off loaded until November 17. Once on French soil, they were quickly put onboard a French freight train with horse/cattle cars. This was almost a universal experience for the US soldier in WW1, which is always described with great discomfort and lack of rations. These cattle cars were typically marked "40/8" for 40 men/8 horses, which is where the American Legion's separate organization "La Societe des Quarante Hommes at Huit Chevaux" gets its name. By November 21, the battalion had traveled almost the full length of France from west to east when they arrived at Vaucouleurs France. Vaucouleurs is fairly near Nancy, Metz and the front trench line with Germany. Once at Vaucouleurs, Headquarters, A and B Companies marched to Uruffe and C Company to Vaux La Petite. After the very long and difficult railway transport these marches with heavy packs in pouring rain were a significant hardship. The battalion trained in the Vaucouleurs area until December 12, 1917 when the 42nd Division Commander ordered the battalion's movement to the Rolampont Area. This was a 110 kilometer (69 mile) march, again with heavy packs but on this occasion a snow storm was ongoing. The battalion assembled at Manois (50 km North of Rolampont) and remained in this area through Christmas of 1917. Following Christmas, the battalion marched to several small towns spread out over about 30 km between Blancheville and Chaumont. While the unit was training in this area their organization was altered by the addition of one company. 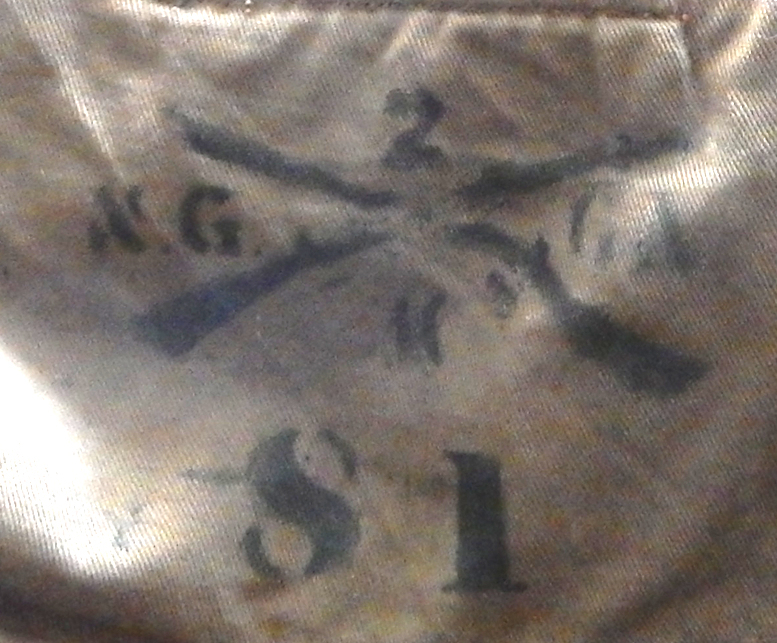 Surprisingly, this addition came from Pennsylvania National Guard and was originally raised as the 4th Pennsylvania Infantry and later transformed into the 149th Machine Gun Battalion Company B (It initially retained this designation even after the re-organization). The odd combination of Southerners lead by a battalion commander, whose grandfather was killed at Gettysburg commanding 4th Georgia Infantry, now with a company of Pennsylvania Infantrymen, no doubt lead to some interesting comments. (See Sergeant John C. Kiehl's Diary) Despite the differences, these units at least had the experience of service on the Mexican Border in 1916 in common. By January 4, 1918 the full battalion with four companies went into more or less permanent billets at Villers sur Suize (Haute Marne). During their five weeks at this location the battalion finally received French Hotchkiss Machine Guns, steel helmets and gas mask plus final training to prepare the men for entering the trench line. Between February 18 and 22, 1918 the companies of the battalion moved by rail to the area of Givrillers. The 167th Infantry (Alabama National Guard) was augmented by 151st Machine Gun Battalion's A and B Companies. The 168 Infantry (Iowa National Guard) was augmented by C Company and B Company of 149th MG. Major Cooper D. Winn Jr. moved up to Brigade level and served as the 84th Brigade's Machine Gun Officer. On March 8, companies of 151st Machine Gun Battalion began entering first line trenches in the vicinity of Badonvilliers and Ancervillier, working with a combination of US and French Infantry units. Each company of the battalion made one tour of the front line during this time that 42nd Division occupied the sector (under the command of the French 128th Infantry Division and French 6th Corps). It was noted that in this time frame Company C conducted indirect (barrage fire) in support of a raid by 168th Infantry. The 151st Machine Gun Battalion only suffered three casualties during this first experience in the trenches. Two of these men were only slightly wounded and the third severely. This man later died of wounds. By March 23, the entire division's tour ended along the front line. Units marched to small towns like Rambervillers to the rear of their former positions. From this point the battalion entered the Rolampont Area for additional equipment and further training before moving a more active sector. On March 28 Company B, 149th Machine Gun BN was re-designated as D Company, 151st Machine Gun Battalion. 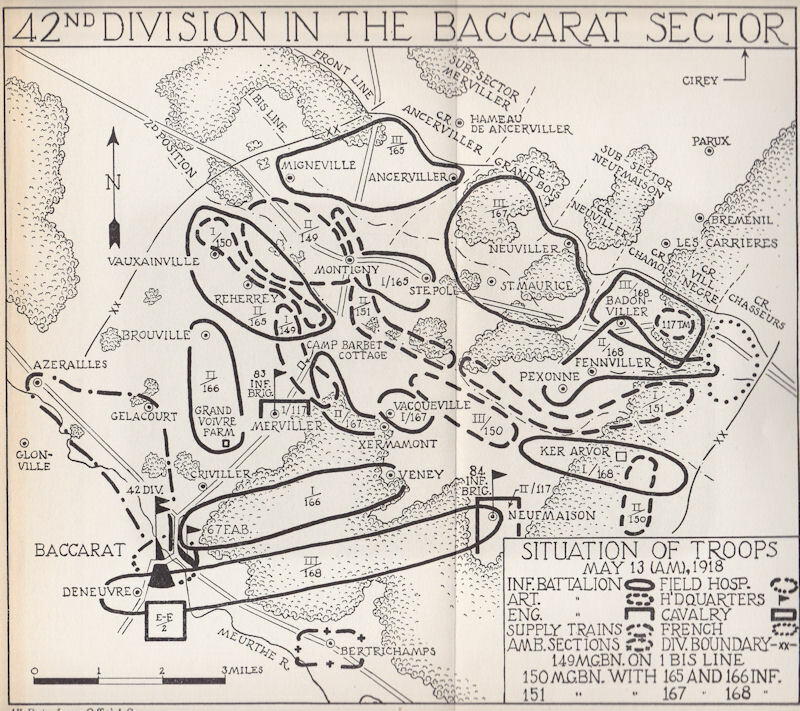 The battalion received orders to again move to the front line of the Baccarat Sector and again, A and B Companies were attached to 167th Infantry and C and D Companies were attached to 168th Infantry. The trenches and dugouts for the machine gun units had been previously occupied by French units. They had not been well maintained and the Americans were unable to gain permission to make improvements until much later in their tour. On May 27- 28, C Company along with 168th Infantry sustained a prolonged German chemical gas projector attack. Company C performed particularly well, assisting to repulse a German Infantry raid coordinated with the gas attack. Company C's gas warfare training was seen to pay off too. They only took three casualties verses 200 sustained by the 168th Infantry Battalion located in the same area. Later one single platoon of C Company took over machine gun positions in the area of C.R. Chamois which were previously occupied by a full Machine Gun Company of 165th Infantry. In June, with their tour nearing an end, the 151st Machine Gun Battalion sustained the most harsh gas projector attack in their experience to that point. This attack resulted in 24 casualties in Company D (old CO. B, 149th MG). In late June 1918, the 151st Machine Gun Battalion conducted training in rear areas away from the trench line. Unexpectedly, a change in conditions at the front lead to orders for the 42nd Division to prepare for a minor offensive action. This was along with two French Divisions in the vicinity of Champagne front lines. In this action, 42nd Division served as a subordinate of the French 4th Army commanded by General Gouraud. July 4, 1918 the 151st Machine Gun Battalion arrived in Suipes and was again broken up to support the infantry battalions. Companies A and B took up positions in the Esperance-Souain Sector with 167th Infantry Battalion. Company D moved to the same sector and was held in reserve supporting the 168th Infantry Battalion. 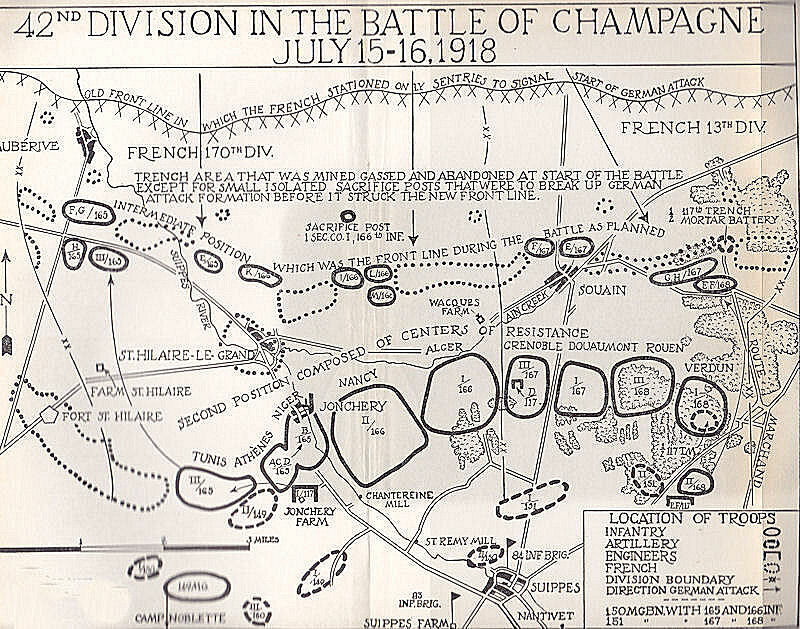 After two false warnings of an enemy attack late on the night of July 14, the French Headquarters reported intelligence predicting a German offensive would begin at midnight. American and French Artillery commenced preparatory fires on the German lines just as this warning went out. The men of the 42nd Division barely had time to get to the limited dugouts before the German Artillery HE and chemical gas barrage began. Because of the limited room in the dugouts, many of the men stayed in wooden frame barracks or stayed on duty manning their gun positions. This barrage resulted in considerable casualties in the battalion. Certainly this must have been deeply frustrating to the men of 151st Battalion especially considering they had no weapon available to them that could counter-fire onto the enemy artillery positions. During the barrage, Company C took particularly heavy casualties and had no cover for their mule carts, consequently all were destroyed. During the barrage from the night of the 14th to the 16th of July the men of the battalion had no food available to them except their reserve rations. On the late night and morning of the 18th and 19th the battalion received orders to move fifteen kilometers distant to Camp Noblotte. This move was accomplished by foot march under heavy enemy artillery fire. From there, the battalion made their way by a combination of marching and buses to Bois de Fere, north of Courpoil. They relived elements of the US 28th Division. As the battalion entered the front line they were parceled out in the same manner as before to the infantry. Company B and C fought in the vicinity of Croix Rouge Farm, making their way through thick woods along with the infantry they supported. Both met their objectives for the day but it was felt that the machine gun units added little value to the infantry in this type of fight. It is important to understand that the 151st MG Battalion's Hotchkiss Machine Guns were very heavy and preformed best when they were emplaced in over-watching positions. They were not well suited to quick movement in rough terrain. The 151st Machine Gun Battalion was a part of the 84th Brigade. On August 6, 1918 Brigadier General Douglas MacArthur took command of the 84th Brigade. He immediately reorganized the machine gun battalions to fight under their own command as separate units no longer parceled out to the infantry battalions. Major Cooper D. Winn Jr. then moved from serving as the brigade level machine gun officer to direct command of his own battalion. It is obvious that both Brigadier General MacArthur and Major Winn expected better results from the heavy machine gun units if they were employed in concentrated over-watching or indirect fire positions. This usage of the machine gun is somewhat peculiar to the WW1 Era. 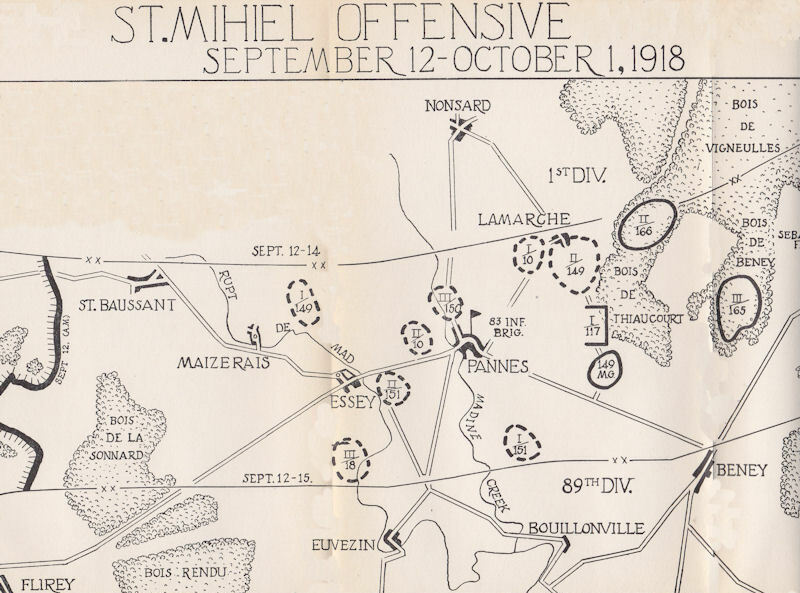 September 8, 1918 the 151st Machine Gun Battalion moved to conealed positions within the forest in the vicinity of Siechprey. Here Major Cooper D. Winn Jr. received orders for the St. Mihiel Offensive . The 151st Machine Gun Battalion would fight as a separate command under the 84th Brigade on the right flank of the 42nd Division. On the 10th of September Major Winn and his four company commanders reconnoitered the planned assembly area for the assault. While there, these officers located existing emplacements and prepared their machine gun fire plan. The following day the battalion moved in heavy rain to the jump-off point along the front trench line. 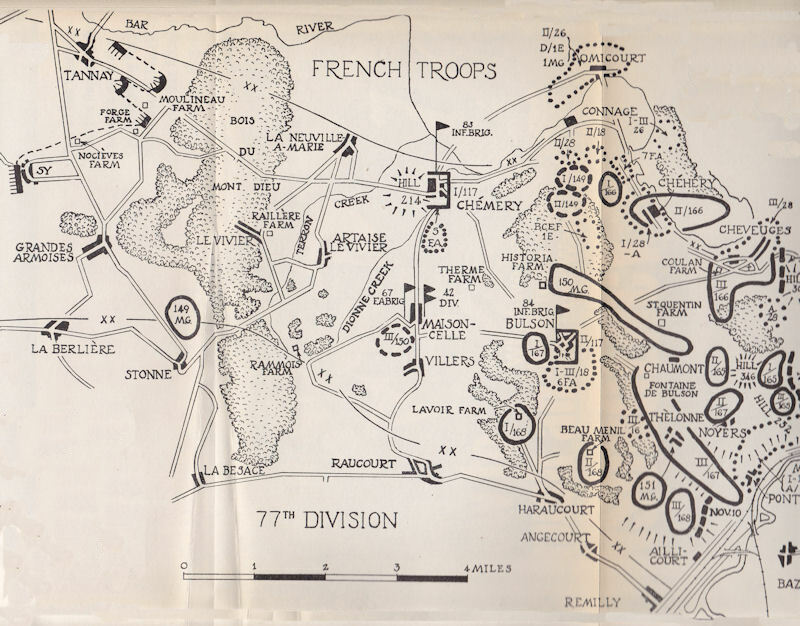 The combat trains remained in covered positions near Mandres while the battalion command post was set up just behind the jump-off trench line. At 1:00 PM a preparatory Field Artillery barrage began. Four hours later the infantry advanced with tank support. The 151st Machine Gun BN provided an indirect fire barrage coordinated with this assault. The 151st MG BN bounded forward once the first wave of infantry reached the objective. The combat trains having provided good supplies of food and ammunition during the assault now moved forward and supported the battalion from Essey. they just picked hard spots on me". He mentioned that French children reminded him of their own son (Cooper D. Winn III). He also expressed great pride in the 151st. 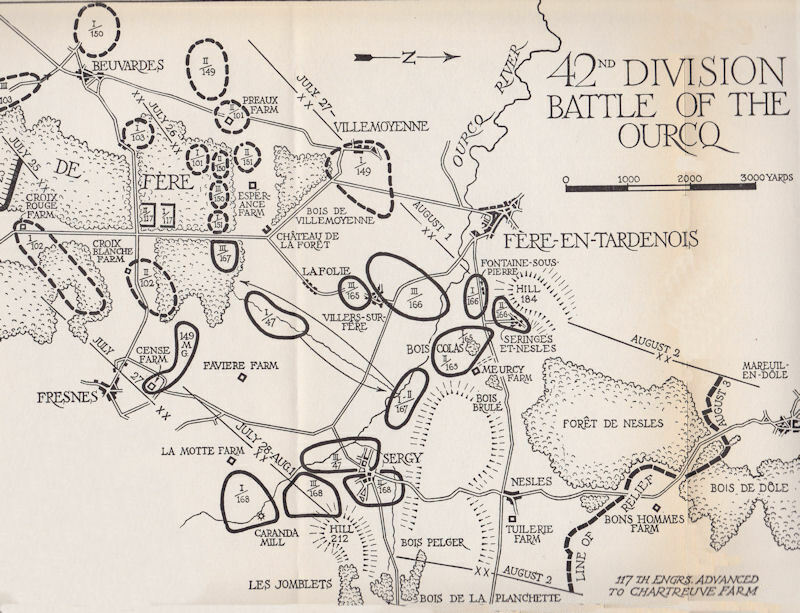 To make the advance though the Argonne, 42nd Division was placed under the command of Fifth Corps. The 151st Machine Gun BN received orders to move to positions near Exermont. It was expected that the battalion would simply occupy positions previously used by machine gun troops of 1st Division's, 2nd Infantry Brigade. Because these units fought with their companies parceled out to the infantry, the positions were not suitable for 151st MG BN, now serving as a separate unit. The 151st Machine Gun BN instead choose their own firing positions. Companies B and D occupied an area near Hill 263 under heavy shell fire and Companies A and C remaining in the reserve. Combat trains held at Eclis Fontaine. 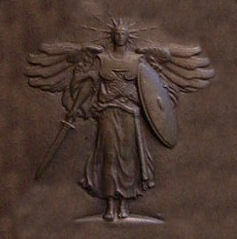 Once emplaced, the battalion received orders to deliver a protective barrage in support of 84th Brigade's Infantry assault on the German defense position "Kriemhilde Stellung". All the 151st Machine Gun BN officers participated in a reconnaissance of Hill 263. Locations were selected for all the Hotchkiss machine guns. Each had an excellent over watching view of the terrain to be covered by the infantry with clear fields of fire over the trenches as far back as St. Georges. Artillery preparatory fire began after 5:00 PM on October 13, 1918. That same evening the 151st Machine Gun BN occupied Hill 263 and dug in the machine guns. Just enough men to serve as crew stayed with the guns. The remaining men took cover behind the hill. In that way, as casualties were taken these men under cover could be called on as replacements. On October 14, 1918, just before the infantry assault on the Cote de Chatillon defensive works, 151st Machine Gun BN began their preparatory barrage. The infantry assault started at 0800 A.M. and the 151st Machine Gun BN's supporting fires continued. With a tremendous volume of enemy machine gun fire directed at the attacking infantry, this assault faltered. The American artillery and machine gun predatory fires had failed to break the German defense. A second attack on the same position pushed forward. This time there was evidently no artillery preparatory fire but only the fires from all the Hotchkiss machine guns of the 151st. From the description in the battalion history, it sounds like the 151st Machine Gun BN changed their technique a bit. "Moving Barrage" fires over the heads of the advancing infantry suppressed the enemy riflemen and machine gunners until the friendly infantry was on top of the enemy defensive positions. This time the assault on Cote de Chatillon was successful. Once the former enemy defensive works were occupied the troops of the machine gun battalion assisted the infantry in rebuilding the Cote de Chatillon defenses for their own use. The use of massed "Moving Barrage" machine gun fires as a technique proved itself in the attack on Cote de Chatillon. As a result, the Fifth Corps commander called for a conference of all his machine gun battalion commanders to better educate them in this technique. The battalion expected to push forward from their positions at Cote de Chatillon but orders which likely came from Corps level changed this. 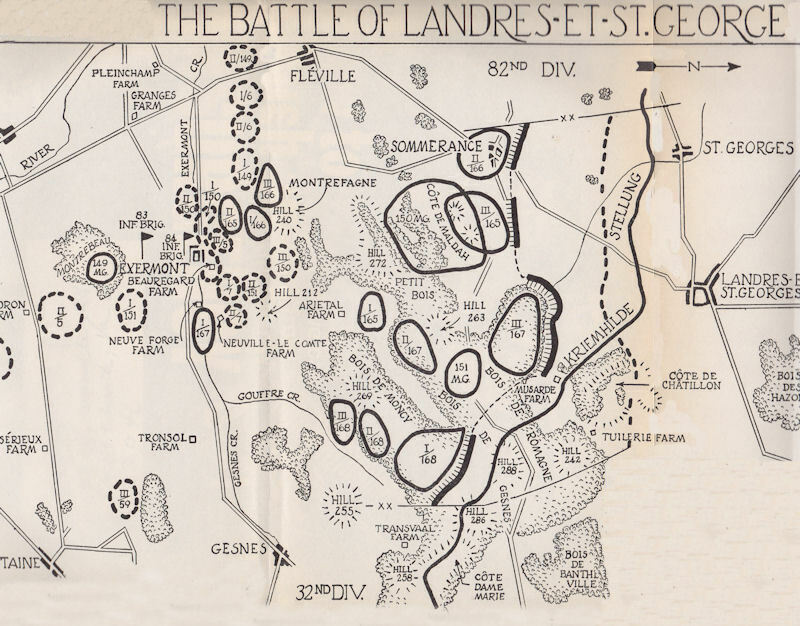 The 42nd and the 2nd Divisions were ordered to take the enemy line running north of Landres St. Georges. The effects of both divisions' machine gun troops were massed for the attack. The same techniques employed by 151st Machine Gun BN against Cote de Chatillon were used on a larger scale against this new objective. The 151st along with the other machine gun battalions fired a continuous predatory barrage before the infantry attack. As the attack pushed forward these fires shifted, firing over the heads of the advancing infantry then moving with the rounds impacting just ahead of these troops until the objective was taken. When the 2nd Division's troops advanced beyond the range of the 151st Machine Gun BN's guns, the battalion was free to move to a quiet bivouac area in Exermount. 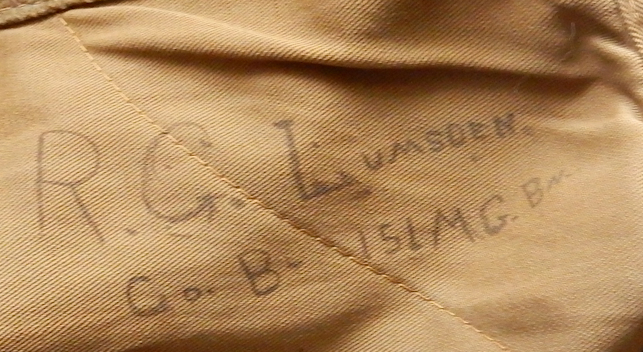 On November 9 the battalion was relived from the line and assembled at Granges Armoises. The Armistice on November 11 brought an end to active fighting along the Western Front and the battalion reassembled at Brandeville. By the 20th of November, 1918 the battalion was re-equipped and given new uniforms and draft animals for their move into Germany.